Is it possible, to correct a raster DEM by changeing the raster-cell-values manually, like by "painting"? 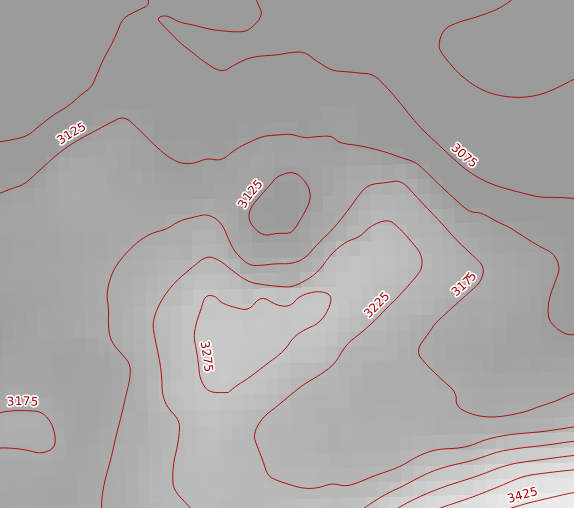 SRTM 4.1 is good, but has other errors (the hill is very steep and small, so SRTM "ignores" it (<90m). 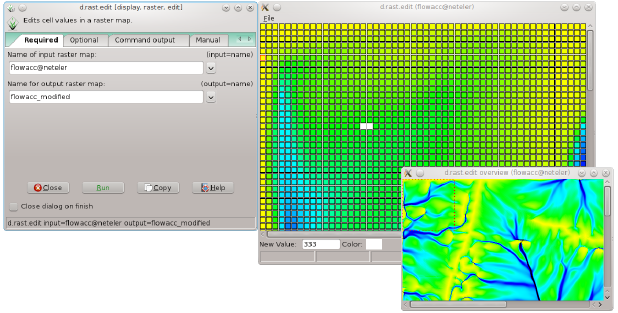 Yes, in GRASS you can edit raster cells graphically with d.rast.edit. I hesitate to mention this because markusN's answer is so good. But if you don't get on with GRASS and if your DEM is not too large you could try the following. 'output.csv' will be a space delimited text file containing the xyz triplets. Not the answer you're looking for? Browse other questions tagged qgis grass dem saga or ask your own question. How to modify single Pixel values in QGIS? How to decrease elevation values of DEM using open source GIS sotware? In which way is height information stored in a DEM? Seeking open source bulk US DEM or imagery? Download of very detailed DEM files for Portugal? Finding high resolution DEM data for small area in Japan?